Learn how to sculpt and mold your own makeup prosthetics, with a focus on how human anatomy relates to sculpture, to create the most realistic effects. 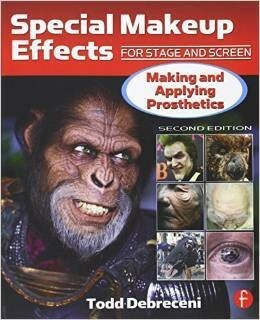 Recipes scattered throughout the book show you exactly what you need and how to use it, helping you to create the best SFX makeup applications. 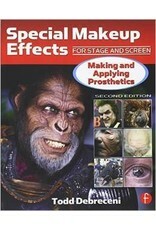 Case studies feature some of the world's top makeup effects artists including Steve Wang, Thom Flouts, Ve Neill, Neill Gorton, Greg Nicotero, Kazuhiro Tsuji, Jordu Schell, Howard Berger, Matthew Mungle, Christien Tinsely, Vittorio Sodano, and Tami Lane. Put your new techniques into practice right away and see how some of the looks from the book were achieved with the step-by-step tutorials on the companion website, www.focalpress.com/cw/debreceni.